Are People Turning to Tumblr for Counseling? Regarded as one of the more leisurely social media networks available, one wouldn’t normally associate Tumblr with serious issues. In fact, most people may associate this particular website with .gif posts, memes, and the like, before even considering the problems that people face from day to day. As it stands, though, people seem to be turning to Tumblr as a form of counseling. Is this for the best, though, and should people put so much weight into this website for such a purpose? According to AOL News, teenagers who are struggling with depression have used Tumblr as a counseling center of sorts. For those who do not know – and the aforementioned article detailed this – suicide is one of the leading causes of death amongst individuals between the ages of 10 and 24. As a result, it’s become a situation not to be glossed over. 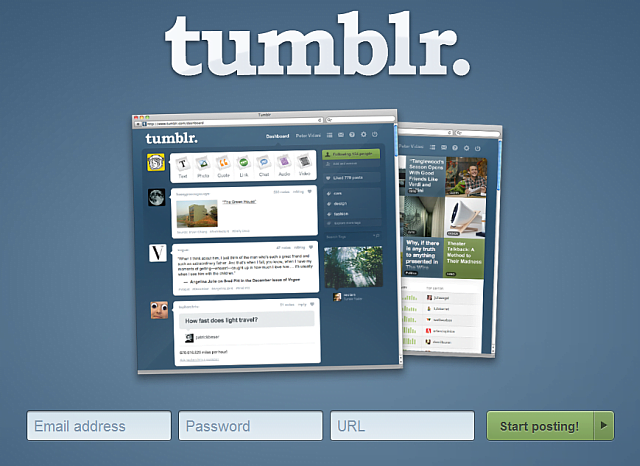 In any event, Tumblr users have turned to certain blogs in order to receive help, as well as information that they could use for the future. There’s no denying the appeal that Tumblr has. Amongst young people, in particular, this website serves as one of the best social platforms for a number of interests. Anything from the latest prime time television shows to the culinary arts can be discussed for days, if not months, on end. Does this necessarily mean that Tumblr can serve as a full-service platform, as it relates to medical expertise? AOL News was skeptical of this, and it’s a sentiment that I share. The reason for this has to do with qualifications, as far as medicine is concerned. When you are sick, physically or otherwise, you are likely to consult your doctor to see what can be done. You will trust that individual, due in large part to the expertise that he or she has worked to achieve. Not everyone who regularly uses Tumblr – very few, in fact – possess that same level of knowledge. As a result, impressionable boys and girls will absorb the words of those who are, for the lack of a better term, misinformed. Does this necessarily mean that Tumblr should be steered clear of? If anything, I see it as a reason for people to be careful about what is researched on the site. Without question, you can speak to many people about your favorite movies, the styles you like to exhibit, or what have you. Interests deserve a platform to be discussed. With a case as serious as depression, though, advice should be taken with a grain of salt. Better yet, it’s recommended that individuals with this condition consult their doctors, in order to receive a more informed opinion. What is your take on this situation? Do you feel like Tumblr users rely on this website, to a fault? Please leave your thoughts below!